RockShop, Ambleside welcomes enthusiasts of all ages, we are not just a shop, but a wonderful home of information, inspiration and hands on experience! 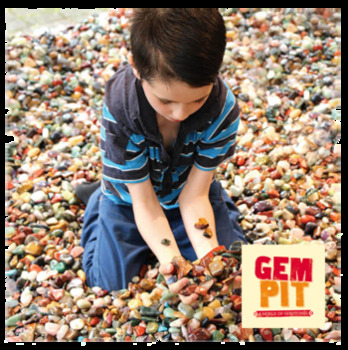 Come and try our exciting 3 children's experience's, including our very own Dinosaur Den themed fossil hunt, jump in to our unique Gem Pit and get creative in our Pipkits Bead Bar. 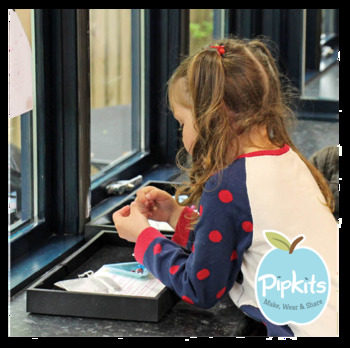 All our experiences are priced at £5 per activity per child. 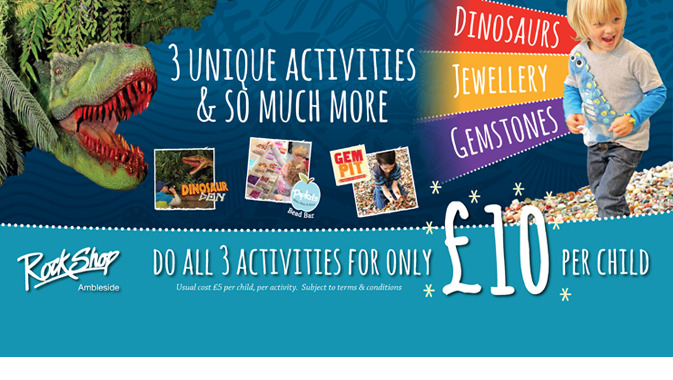 Take advantage of our 3 for 2 discount and get all three activities for the price of two, that’s a free activity plus your little one will receive a free gemstones poster as part of the deal. 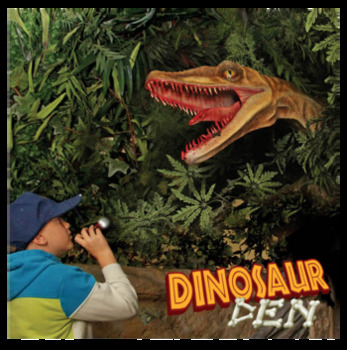 All our experiences are designed around the world of Dinosaurs, gemstones and fossils and are suitable for all ages and abilities from 4yrs and upwards to join in with the fun. We are the ideal children's wet weather attraction to amuse the kids for an hour or so in the heart of the English Lake District. It is amazing! You walk through the door and are blown away by the variety of colour. There is many beautiful gems, geodes, ammonites, salt lamps, rocks and fossils to choose from, alongside pretty, handcrafted items of jewellery that aren't over the top- but aren't plain either. These are delightful little things: one-of-a-kind, unique items with the perfect touch. The Gem Pit looks very interesting, too. Contrasting hues of different, rare gemstones all in a large pit. You go to the counter, pay the amount needed, and get given a little drawstring bag to fill with gems. "So you get to take some home," people say, amused. "Yes," comes the many replies. Then, you jump in and play, play and play with all these little chunks of happiness. Screams of excitement and laughter. You find tiny little slithers and great big slices of gem. The bag is filled to the top.